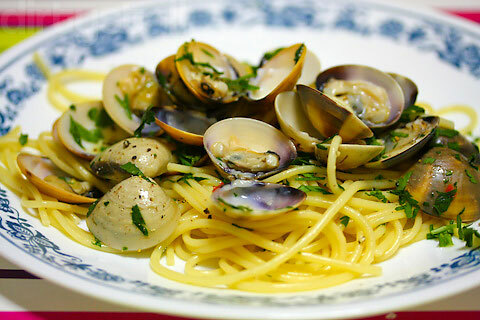 Vongole refers to clams in Italian and cooking them with pasta is part of the traditional Neapolitan cuisine. They are usually prepared in rosso (with tomatoes) or in bianco (white sauce). For this dish I opted for the latter. 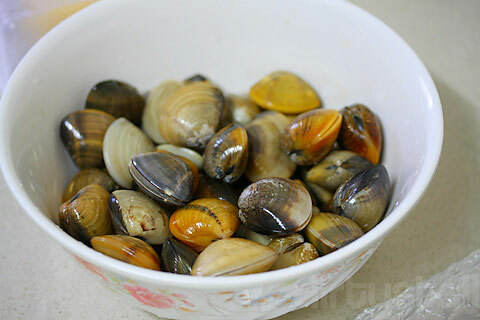 First I soaked the clams in salted water so as to get rid of any remaining sand, then I dried them out, discarding those that remained open. In a saute pan I heated olive oil, sliced garlic and some chilli flakes over a low heat. After a minute or so I added in the clams, swirling them around a bit before adding in a glass of white wine and turning it up to high heat. I shook the clams here and there for a few minutes, and then I discarded those that remained closed. 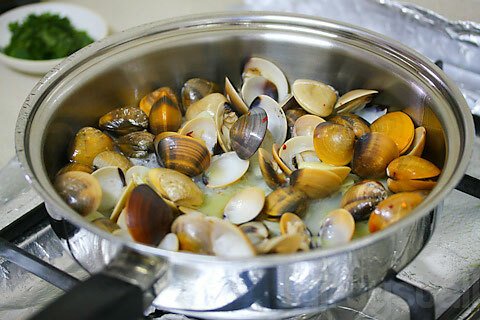 Correct for salt and then add in the pasta to saute further, imparting the taste of the clams into the pasta. Sprinkle parsley over for flavouring. 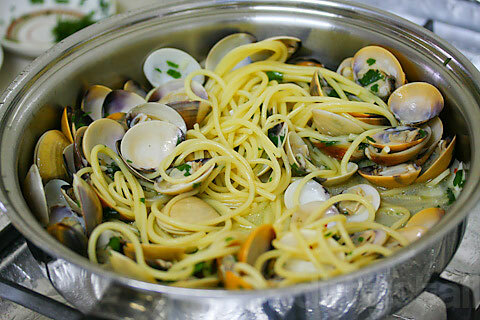 5 Responses to "Spaghetti alla vongole in bianco"
One of the Italian classics. Most importantly, the spaghetti must be sauteed with the vongole, to release the starch, thicken the sauce and absorb the flavour. You must heavily undercook them for this to work.